While packing and preparing for your upcoming move, it can be easy to put sustainability and resourcefulness on the back-burner, as you have so much to accomplish within a certain amount of time. When it comes to your affordable non-perishable food items, you may be tempted to toss anything you don’t want to pack or don’t think will fit on your moving truck. Here are some tips on what to do with food you don’t want to or can’t take with you on your move. 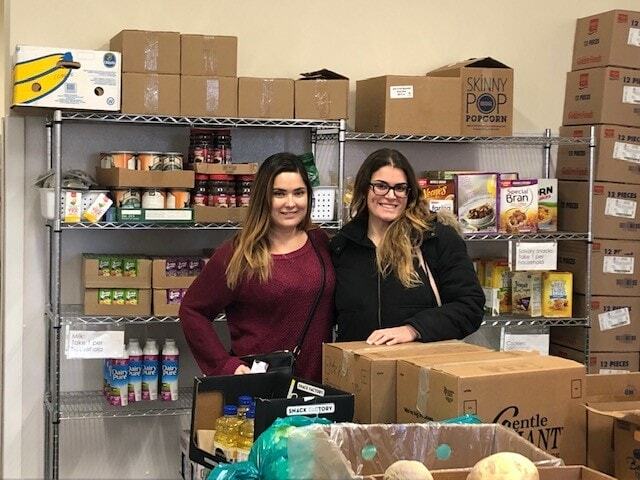 For over six years, Gentle Giant has worked with a great organization called Move for Hunger, a nonprofit that make it easy to make a positive impact on the hunger crisis in America. Through our work with Move for Hunger, we will collect and donate any food donations you have set aside on moving day to local food banks, free of charge. This can take an extra errand off your to-do list and provides a positive benefit to society. We encourage you to speak to your move coordinator about this initiative when preparing for your move. During your grocery shopping, it’s easy to get caught up in picking up items you may not need or buying something just because it’s on sale. We recommend putting a mental price tag and expiration date on the food you purchase to keep yourself accountable to make sure you eat everything and save money. The produce or chicken you purchased on sale won’t be a great deal if you end up needing to dispose of it before consuming. Anything in your refrigerator and freezer is worth taking inventory of so you can meal plan and prep to make sure you are optimizing your food and budget. Use this time to get creative with your recipes to make sure you are using as much of your perishable food as possible, whether it’s through making soups, stir fry or having breakfast meals for dinner. You can share any additional uneaten produce and other perishables with friends, family and neighbors if moving day arrives and you still have items you cannot donate. Tip #4: Make sure to save some food for yourself on moving day! Make sure you don’t forget about eating on the actual moving day! Keep some bottled water, snacks and sandwiches by your side to stay nourished as you are making your big life change. We wish you the best of luck!